BBC Sport looks back at the highs and lows of former Chelsea captain John Terry, who has announced his retirement. Arsene Wenger will step down as Arsenal boss at the end of the season - this is who you have picked in his greatest Gunners XI. Was this Matic strike even better than his winner for Man Utd? Watch John Terry's first Chelsea goal from a 2000 FA Cup tie with Gillingham as the defender announces he has retired from football. BBC football expert Mark Lawrenson takes on Line of Duty star Adrian Dunbar in this week's Premier League predictions. Ian Wright and Danny Murphy join Mark Chapman to look back at Tottenham's comprehensive 2-0 win over Arsenal in the final ever north London derby at White Hart Lane. Tottenham's victory over Arsenal means they can "put psychological pressure" on Chelsea, says manager Mauricio Pochettino. 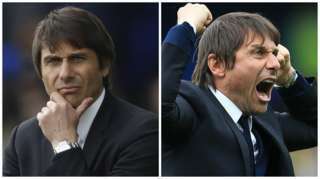 Chelsea boss Antonio Conte says he is an "animal" during games, after watching his Premier League leaders beat Everton 3-0. 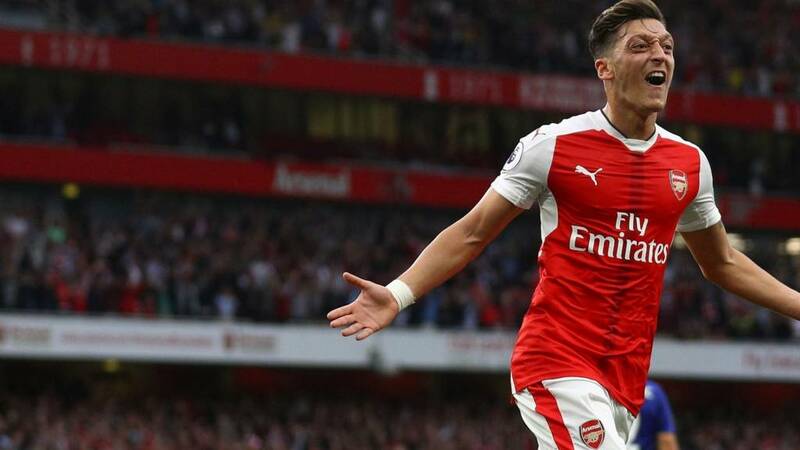 Arsenal manager Arsene Wenger admits his side did not recover from conceding two goals in three minutes as they lost the north London derby 2-0 against Tottenham. 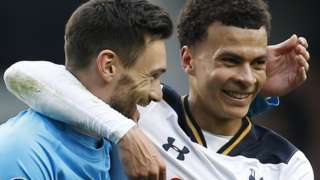 Spurs boss Mauricio Pochettino is full of praise for his side after they put in a "complete performance" to see off north London rivals Arsenal 2-0 at White Hart Lane. 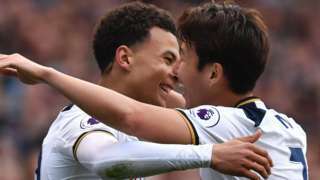 Tottenham keep up their pursuit of Premier League leaders Chelsea as goals from Dele Alli and Harry Kane see off rivals Arsenal. Spurs fans have stayed behind inside White Hart Lane in numbers to celebrate that derby win and the fact they will now finish about Arsenal - and why not? This was another very impressive performance that demonstrated that Mauricio Pochettino's team are currently in much better shape than The Gunners. 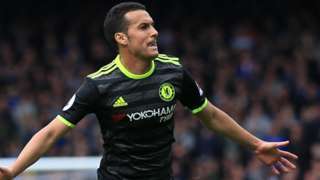 Premier League leaders Chelsea take a big step towards clinching the title as three second-half goals see off Everton. Spurs hit Arsenal with the old one-two - and manager Mauricio Pochettino pumps his fists towards his players as they make their way back for the re-start following Harry Kane's penalty. He is not giving up on the Premier League title and neither is White Hart Lane judging by the thunderous noise. Tottenham have to find a way to win this north London derby in the next 45 minutes or realistically the game is up as far as their Premier League title challenge is concerned. Spurs legend Jurgen Klinsmann is back at White Hart Lane and gets a huge ovation from the home fans as he is interviewed on the pitch during the half-time interval. Spurs boss Mauricio Pochettino was aghast as Christian Eriksen's effort glanced off the bar - he was starting to celebrate. Very bad miss. Spurs and Arsenal still fighting to exert authority here - plenty of pace and endeavour but not much high quality. No joy for the Spurs fans already assembled in White Hart Lane with the news from Goodison Park that Chelsea have beaten Everton emphatically. It means this north London derby is quite simply a must-win for Mauricio Pochettino's side - reality now dictates nothing else will do. Lawro goes up against a modern TV great in this week's predictions - none other than Line of Duty's Ted Hastings. Video caption: Superintendent Hastings attempts to find out who blew DS Fleming's cover.Superintendent Hastings attempts to find out who blew DS Fleming's cover. 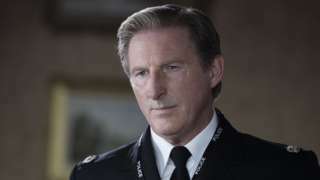 Actor Adrian Dunbar says his character in Line of Duty was based on a couple of football managers, but Arsenal boss Arsene Wenger is not one of them. "There are a whole lot of great managers that came out of the west of Scotland - Bill Shankly, Jock Stein and Sir Alex Ferguson," he explained. "They had great man-management skill, there is no question about it - they were able to handle people. "Hastings had to have the same skills, where he can get the best out of everybody. I am from not far away myself so I have kind of mined that quality for him a little bit."